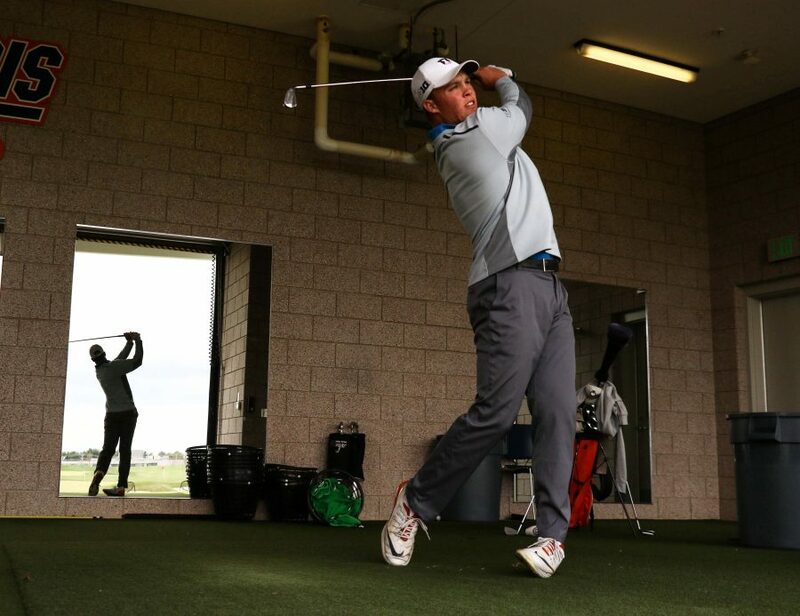 Nick Hardy practices at the Demirjjan Golf Practice Facility on April 6. 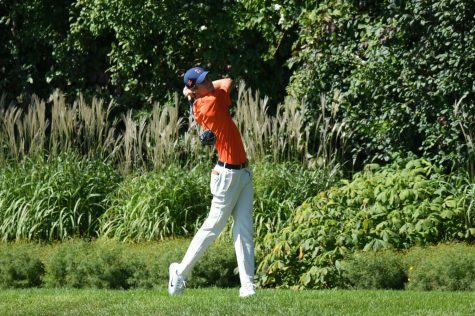 The Illinois men’s golf team traveled to Columbus, Ohio, to compete in the Robert Kepler Intercollegiate this past weekend and did not disappoint. 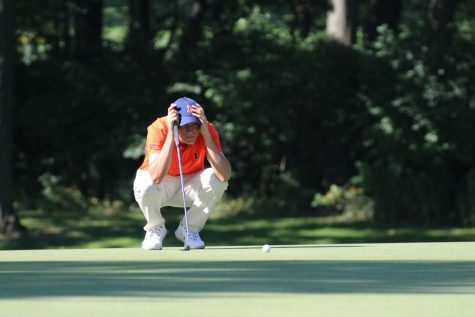 By the end of the first day of competition, the Illini were one stroke off the lead with a 12-over par team score. Freshman Michael Feagles and junior Dylan Meyer led the team individually, both 3-over and tied for second. Four Illini sat among the top 15 individuals heading into the second day. Kent State was the leader with a team tally of 11-over par, and Iowa was among the top three after a two-round score of 25-over. 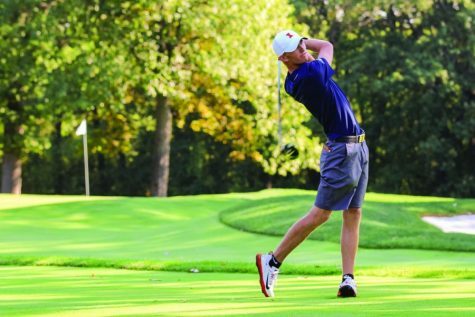 In the final day of the tournament, Illinois pulled ahead of Kent State and earned the 2017 Robert Kepler Intercollegiate title, the team’s first tournament win since the fall. 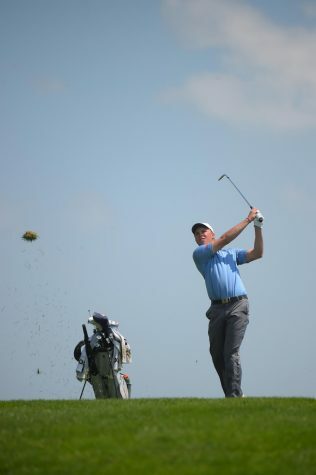 For the second year in a row, Meyer was the individual champion of the tournament, shooting a 211, good for 2-under. Feagles tied for third, while sophomore Edoardo Lipparelli tied for sixth. 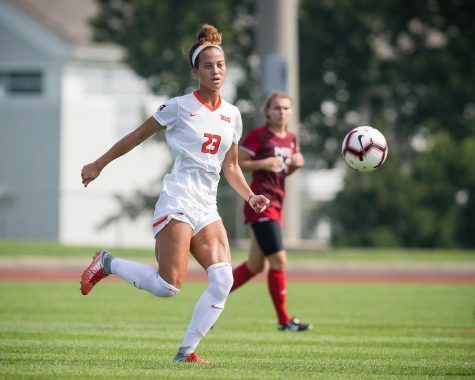 The Illini will head to Baltimore next to compete in the Big Ten Championships beginning April 28.